Yes, the days of short pants and Bylcream. The memories will last forever. Avoiding the camera was Evan Chee & Conrad Semple. 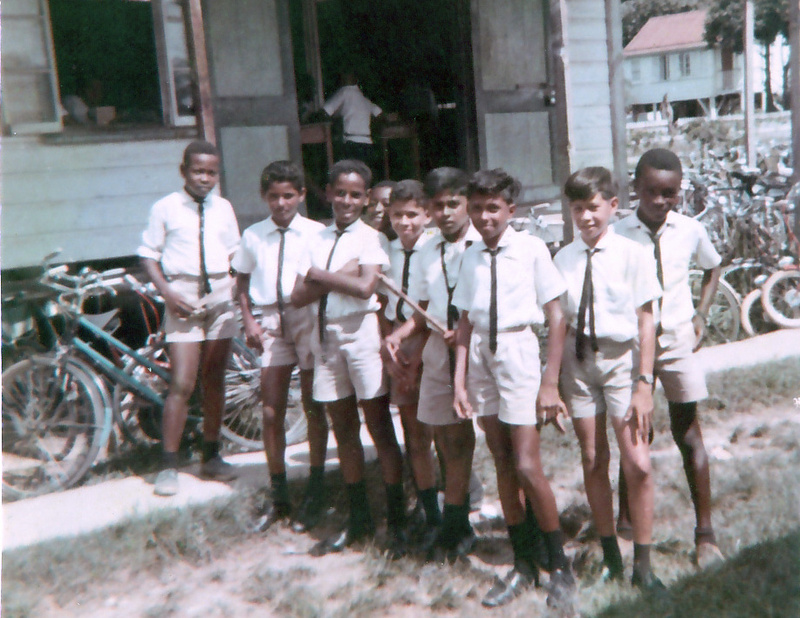 L-R: Carl Bennons, Brijmohan Bhoaj, Lloyd Sadhoo, Patrick London, Percy Newsum, Parsram Singh, Michael Narsingh (AKA: Abdool Milton), Charles Menezes, Rodwell Waldron.